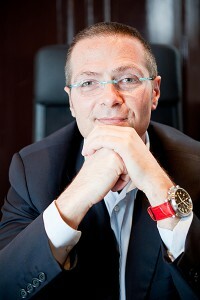 Dr Matteo Tretti Clementoni was born in 1968 and graduated with first-class honours at the University of Bologna in 1993. He specialised in Plastic and Reconstructive Surgery in 1999, as well as working and expanding in the laser field. After working as a Medical Officer for the Italian National Military Police, he continued his medical career as a plastic surgeon, first at the Multimedica General Hospital and afterwards at Casa di Cura Santa Rita in Milan. Having started his own professional practice simultaneously with his hospital career, he devoted him time exclusively to his practice from 2007. Dr Tretti Clementoni, you are one of the first users of the M22 ResurFX, a non-ablative, fractional 1560nm Erbium:Glass Laser. Tell us about your experiences with the device so far. When I received the laser last year, in May 2013, it really surprised me because the results I had on stretch marks were really good from the beginning. A lot of patients are now asking for this kind of procedure and they are very happy about the results. This technology is now my first choice to treat stretch marks and it allows me also to offer a new procedure for facial skin rejuvenation. IPL devices work very well on pigmented and vascular lesions, but there is only a medium new collagen formation. 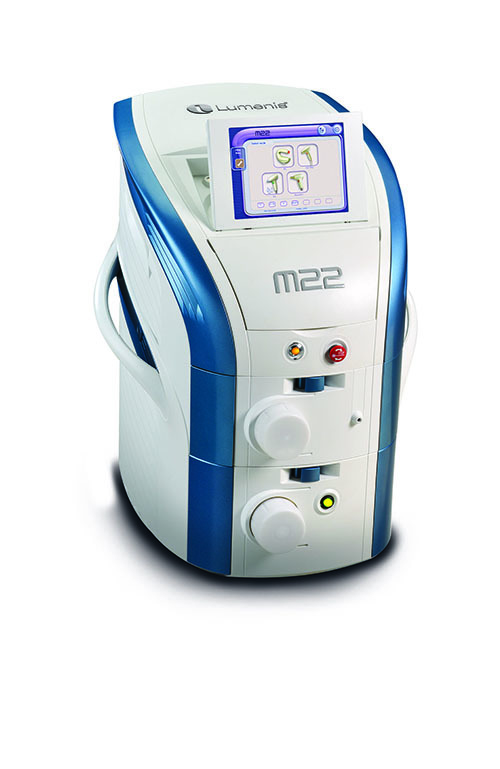 With the fractional CO2 you can obtain fantastic results, but it requires 5–6 days of downtime. ResurFX stays in the middle: it allows you to obtain better results than an IPL treatment but with a shorter downtime than a fractional CO2. What is the difference between ResurFX and the Fraxel system, for example? I do not have the Fraxel device, but I tried to use it and applied it as well. Advantages are of the ResurFX are that it has non-disposable tips (which is important from an economic point of view). ResurFX allows me to be extremely precise during my treatments and the most important thing is that you can vary not only the energy, but also the shape of the shot and the number of micro-beams. Therefore, with a single pass I can decide whether to be more or less aggressive, and avoid the time-consuming multiple pass technique. Also, the lasing is very important. Its advantage is that micro-beams are emitted in a random modality. Not a stamping emission as well as not having a sequential emission, I can use high energy, avoiding any risk of delivering too much heat very deep in the skin. The Fraxel was invented in 2006/2007, but with a newer laser device you have some more advantages. When do you apply the ResurFX, when would you rather use a CO2, and what can be described as the major difference? There are different parameters to be acknowledged. Regarding downtime, CO2 lasers always have a longer downtime. In terms of the results, you have better results with CO2 and it can be that you only need one session of treatment. With a CO2 laser there is usually 5 days of downtime with crusts, where people cannot go outside and lead their regular social life. There will be very good results with the ResurFX, and downtime is shorter, but you will need more than one treatment session. But we should not compare non-ablative with ablative lasers because they have different indications. So I will never use the CO2 on stretch marks again — I will always use the ResurFX, the non-ablative. Maybe the non-ablative will have a future also on acne scars, but also the CO2 is very effective on them. Speaking of rejuvenation, we are facing two different types of patients: patients who are willing to accept fewer results with a non-ablative after the first treatment. I think that the ResurFX can be used on treatment of scars, as well as CO2, but for different kinds of scars. And then there are patients who rather prefer more obvious results after a longer downtime, who would then be treated with the CO2. 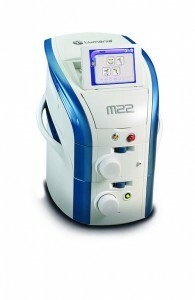 Which laser do you use for scars on the body? It depends on the scar. I’m always a little worried about using the CO2 laser on the body in terms of hyperpigmentation. So, if I have a thick scar like hypertrophic, burnscar, a post-traumatic one — a second intention healing scar, my mind goes rather towards the CO2. If we have recent red scar, then start with the non-ablative. Mr Tretti Clementoni, you often combine the application of the ResurFX with IPL. Which indications can be treated successfully with this combination? I think that the future will comprise combined therapies; combining different technologies to obtain very good results, simultaneously reducing the risk of adverse effects. Like treating with antibiotics, we are combining different drugs to have very good effects and less adverse effects. The ResurFX is, in my opinion, not able to treat vascular lesions. So, if you look at an ageing face, you can have three features: lentigines/pigmented abnormalities or irregularities, there can be very small vessels and wrinkles. ResurFX can treat pigments and fine lines, while the IPL is fantastic for treating the vascular conditions. By combining the two we can treat all the three features of an ageing face. And we are not increasing the downtime, which is an important issue. The only thing that has to be considered, is that when you use the ResurFX, you will have oedema for a few minutes — oedema of the skin means that there will be much more water inside the skin. So using the IPL immediately after the ResurFX is not recommended. I prefer to do the ResurFX, wait a few days and then do the IPL. But I also try to combine both treatments during one session by using the IPL first, because it does not produce any swelling and then afterwards use the ResurFX. What are the benefits for doctors and for patients? The advantages for doctors are very good results with a non-aggressive procedure. Advantages for patients would be the better appearance of the face with a shorter downtime. ResurFX is also a very good opportunity for women, offering very good results on stretch marks. How long is the downtime or in particular how long does is take the irritation to fade? It usually depends on the energy settings you apply. Normally less than 2 days, but patients mostly have only micro-crusts, which can be covered with make-up and so, it does not impact on social life. The CO2 gives fantastic results, but you have to accept a longer period of downtime. Please explain how and why you use ResurFX on stretch marks. How effective do you see it? At the beginning I was not happy with the results I had with other devices, and they just didn’t convince me at all, nor my patients. But the ResurFX is another story. I started to notice some very good preliminary results on stretch marks, and already treated patients were asking me to treat them again. I consider stretch marks as scars and the idea is trying to modify the tissue — not only the colour. We must have new collagen as well as a remodelling of it. Trying to focus onto the majority of cases I have in my office every day, I started to treat white stretch marks. On these we obtained very good outcomes, but I did few cases also on red stretch marks. I have no complete judgment on this kind of indication yet, so I cannot recommend it, but my preliminary results are really promising on these lesions. This interview was originally published in Aesthetische Dermatologie, MDM-Verlag, Issue 2014-01. Watch Matteo Tretti Clementoni’s webinar on M22 with ResurFX here.